Leaves changing color in the fall certainly does bring joy to our hearts (and likes to our IGs), but if we had to pick a favorite season, spring wins. Warming temperatures and brighter, longer days mean sweaters give way to dresses, lips get sheer tints, and skin gets sun-kissed. There’s also that little detail of spring-cleaning, which the type A in us loves. And, of course, the beauty girl in us loves revamping our beauty routines, a sentiment shared by style blogger Jenny Ong of Neon Blush. The SoCal native says beauty has been a big part of her life for as long as she can remember. As someone whose sense of style veers toward the minimal side, Ong gets excited about the clean slate spring brings. “To me, spring beauty is what Los Angeles feels like year-round: It’s fun and fresh and still pretty minimal,” she says. We couldn’t agree more. Are you ready to make the switch to spring beauty? 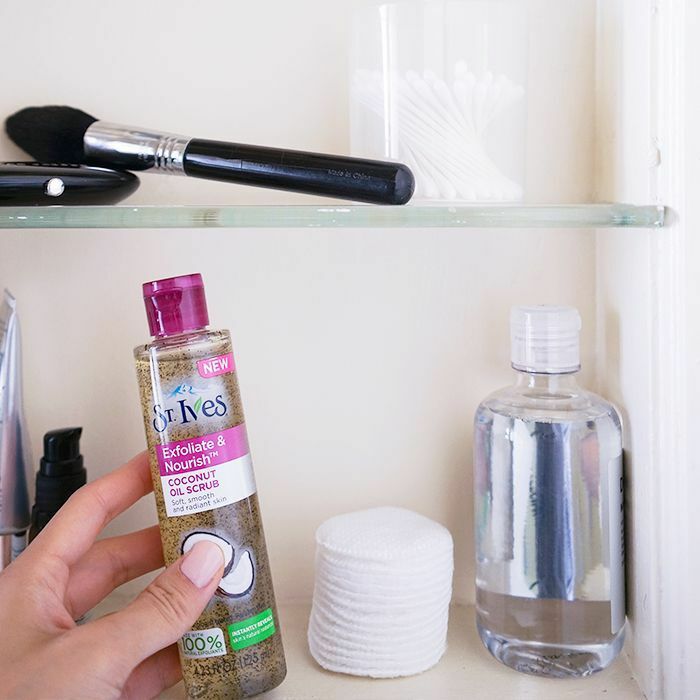 See how Ong pares down her winter routine and the product swaps that get her there. Ong admits she hasn’t had too many troubles with her skin, other than changes that come as a result from traveling or stress. “Entering my late 20s, my main concern right now is just making sure I stay hydrated and get enough sleep so that my skin feels refreshed naturally,” Ong says. “For winter, I pack on a lot of heavy face creams and oils. But when spring comes along, I tend to spend more time outside doing a number of things, so I often feel like there are more debris and particles on my face. 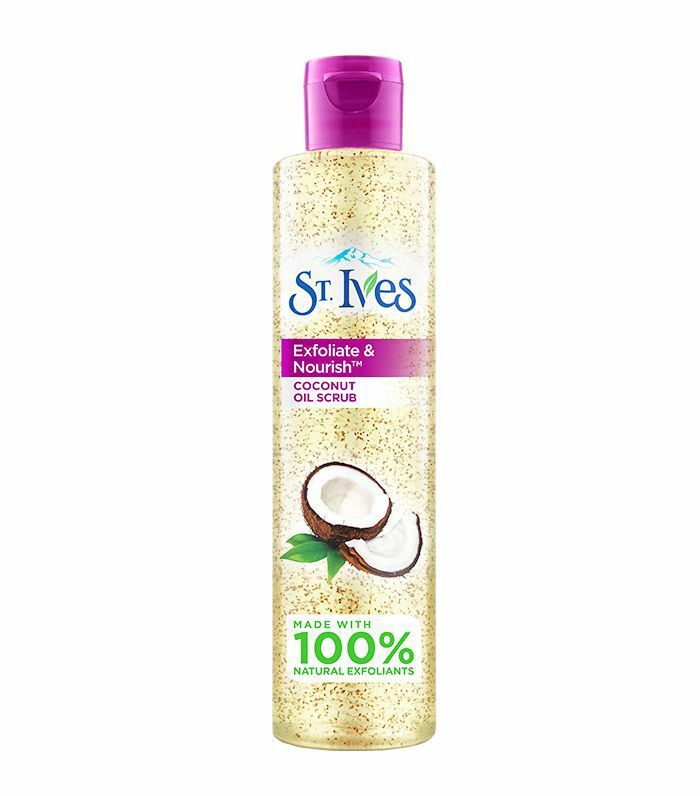 Ong is also a big fan of coconut oil for its nourishing and hydrating properties, which is why she’s adding St. Ives Exfoliate & Nourish Coconut Oil Scrub ($7) as her biweekly exfoliator of choice. “It’s gently and naturally exfoliating, and the grape seed oil promotes bright and smooth skin,” she says. With thick, slightly wavy strands, Ong doesn’t do much to her hair—beyond shampoo and conditioner, she likes to limit herself to one styling product. In the winter, it’s hair oil to keep her scalp and ends hydrated. In the spring, it’s a finishing mist. “Because I keep my hair styling minimal, I look for products that allow you to maintain a more natural look, ones that keep your hair light but with hold,” Ong tells us. 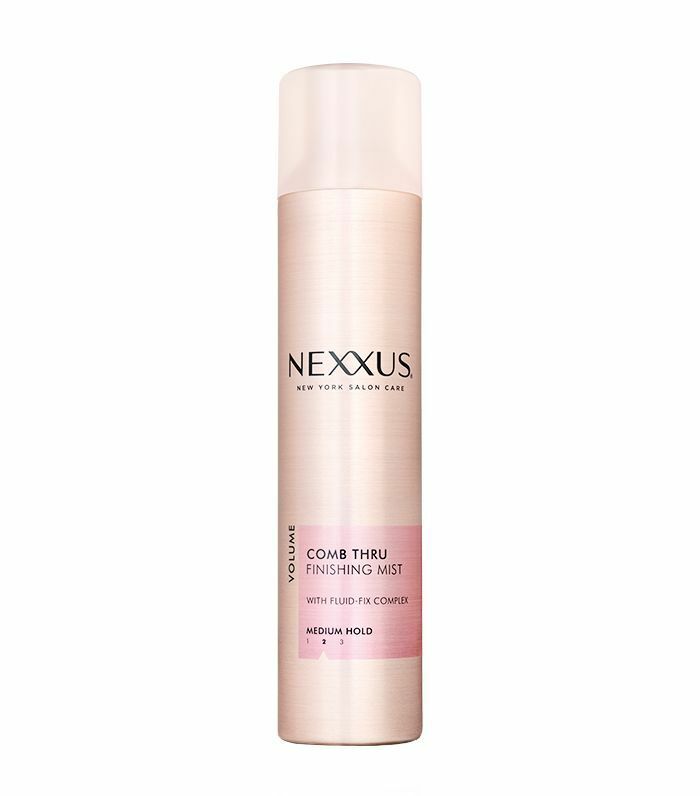 Enter: Nexxus Comb Thru Finishing Mist ($12). 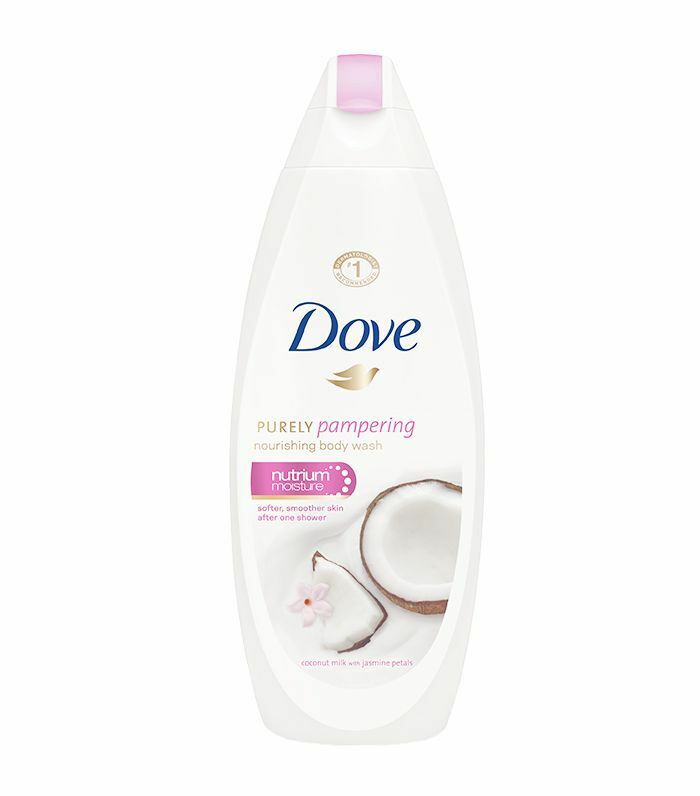 “True to its name, it keeps my hair in place but allows it to be soft and shiny appropriate for spring,” she says. “I love it because it doesn’t make your hair look at all crispy or chunky like some hair sprays can do.” Undone and fuss-free is her motto (and ours). For Ong, a gentle body wash is key for spring; something that will deliver nutrients to the skin and maintain proper moisture levels. “For the same reasons I change my routine for my face skincare, due to weather shifts and being outdoors more, I tend to use body washes with a slightly lighter finish,” she says. What spring beauty swaps have you made this season?